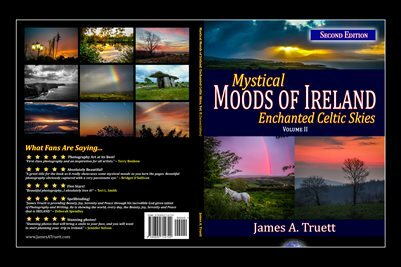 Covers from the book series, "Mystical Moods of Ireland" by James A. Truett. Front and Back Cover for "Book of Irish Blessings & Proverbs," Vol. V in James A. Truett's Mystical Moods of Ireland series of photographic essays. 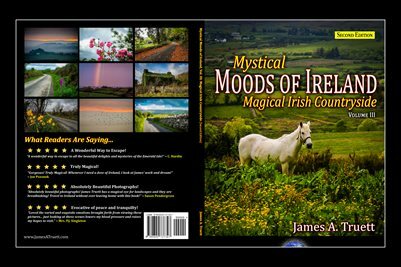 Front and Back Cover for "Magical Irish Countryside," Vol. 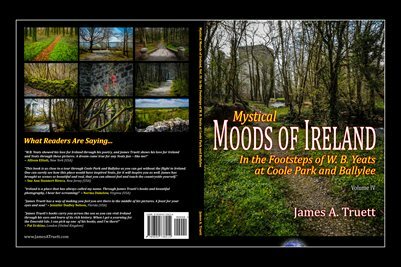 III in James A. Truett's Mystical Moods of Ireland series of photographic essays. 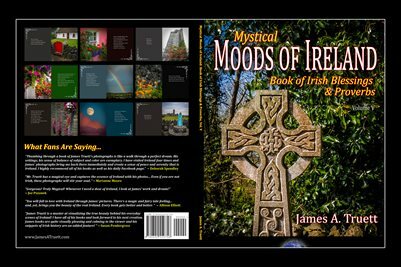 Front and Back Cover for "Enchanted Celtic Skies II," the second volume in James A. Truett's Mystical Moods of Ireland series of photographic essays. 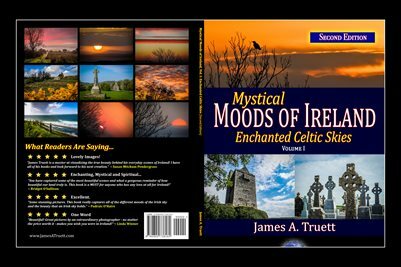 Front and Back Cover for "Enchanted Celtic Skies I," the first volume in James A. Truett's Mystical Moods of Ireland series of photographic essays.